“These complex interactions make it difficult to predict the effects of climate change on vector-borne diseases,” the assessment notes. Additionally, the assessment contradicts Politico in its discussion of Western Equine Encephalomyelitis Virus (WEEV) and St. Louis Encephalitis Virus (SLEV). Just Facts observed that a 2016 study of coastal U.S. mosquito populations found many studies that show a positive correlation between temperature and insect populations have dismissed the influence of land use and the effectiveness of pesticide DDT prior to its prohibition. 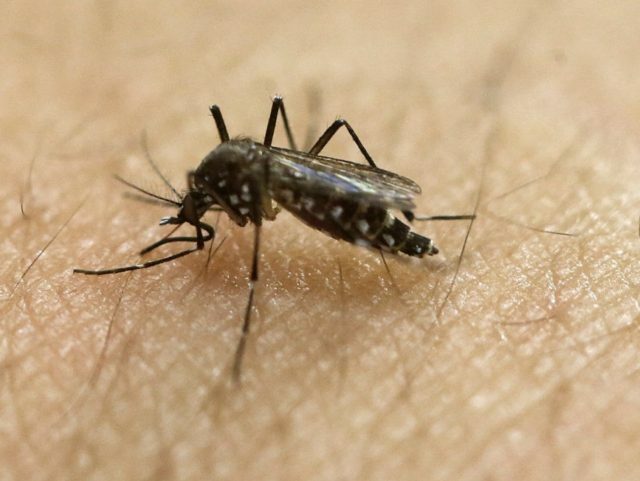 The recent emergence and spread of vector-borne viruses including Zika, chikungunya and dengue has raised concerns that climate change may cause mosquito vectors of these diseases to expand into more temperate regions. However, the long-term impact of other anthropogenic factors on mosquito abundance and distributions is less studied. Here, we show that anthropogenic chemical use (DDT; dichlorodiphenyltrichloroethane) and increasing urbanization were the strongest drivers of changes in mosquito populations over the last eight decades in areas on both coasts of North America. Although hundreds of millions (and perhaps billions) of people have been exposed to raised concentrations of DDT through occupational or residential exposure from house spraying, the literature has not even one peer reviewed, independently replicated study linking exposure to DDT with any adverse health outcome. We conclude that the public health benefits of DDT amply outweigh its health risks—if, indeed, such risks exist at all. For doctors or their banner groups such as Physicians for Social Responsibility to campaign otherwise is not only wrong but outrageously unethical.